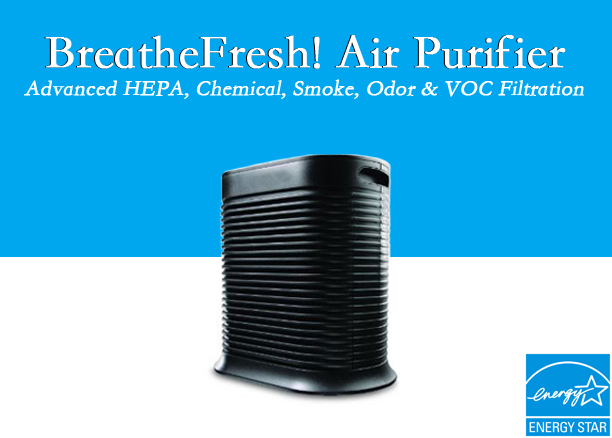 True HEPA Filtration for Removes 99.9% of Dust, Pollen, Allergens & Other particulate. 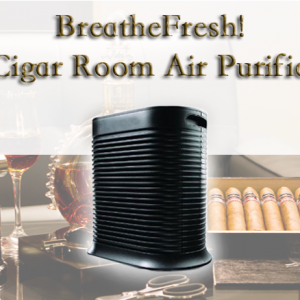 Patented Reticulated Carbon & Zeolite for Chemicals, Smoke, Volatile Organic Compounds & 99.99% of Odors. Revolutionary Reticulated 5D Media Virtually Eliminates Microbial Contaminants (Mold, Bacteria, Etc.). Energy Star Approved, Ultra Quiet Housing. Automated 2hr, 4hr & 8hr Cycle Settings @ 4 Different Fan Speeds (including Turbo Mode!). Powered by CuZn’s Exclusive Patented FilterFoam Technology. SKU: BFAP-100 Category: BreatheFresh! Air Purifiers - Eliminate Mold, Bacteria, VOCs & More! BreathFresh! Air Purifiers by CuZn utilize HEPA Technology and CuZn’s patented FilterFoam Technology to cover the full spectrum of harmful airborne contaminants. HEPA technology only accounts for one type of contaminant commonly found in air, physical particulate that is undissolved. There are many types of harmful contaminants that HEPA filters do not remove because they are not physical particulate, examples include chemicals, volatile organic compounds, gasses and all types of odor. Harmful non-particulate contaminants are leached from a wide variety of sources commonly found in your home. 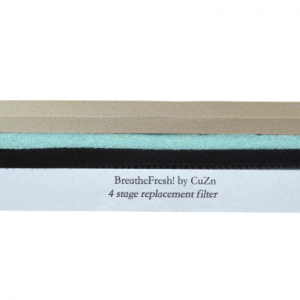 CuZn’s Patented FilterFoam technology removes chemicals, volatile organic compounds, gasses and 99.99% of odor. CuZn’s revolutionary 5D Media Filtration Media is the world’s first passive biocidal filtration media. Most air purifiers utilize Ozone Generators to sterilize the air. Yes, Ozone can be effective in killing mold & bacteria. However, Ozone is also extremely toxic to human as well and we find that to be an unacceptable solution. CuZn’s BreathFresh Air Purifier is completely Ozone Free & sterilizes your air without producing any harmful residuals. Don’t get tricked by our competitors granular carbon media systems, only CuZn’s patented combination of reticulated mineral medias are able to eliminate 99.99% of the wide variety of contaminants found in your home.